ST. PETERSBURG, Fla. — Florida’s largest LGBTQ pride celebration is here but, with 250,000 people expected to take over St. Pete, getting around can be a hassle. This year organizers are expecting to break attendance records. But with all those people, who wants to get stuck in traffic? So we asked some pros for advice. It’s only gotten bigger, better and more colorful in its 16th year. 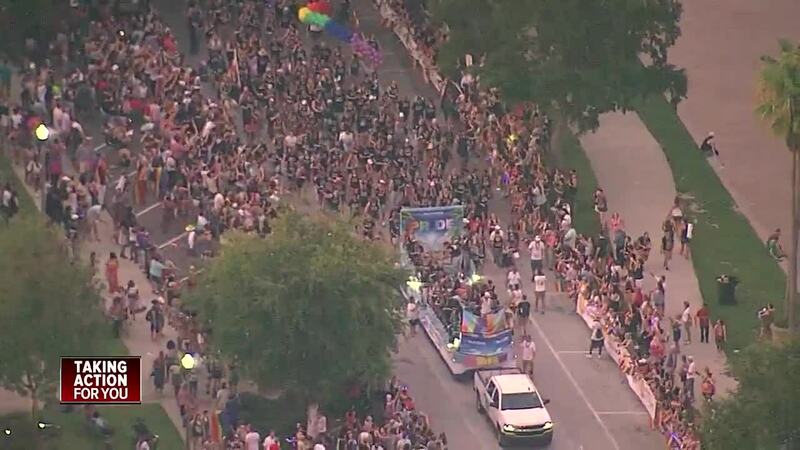 This weekend St. Pete Pride is expecting to attract 30,000 more people than the year before. But finding a way around the crowds can be infuriating. "Oh it gets bumper to bumper," said Mitch Faber, the owner of Old Key West Bar & Grill. But lieutenant Markus Hughes with St. Pete Police insists it doesn’t have to be a headache. “Patience is key," he said. Start by knowing which roads are closed. 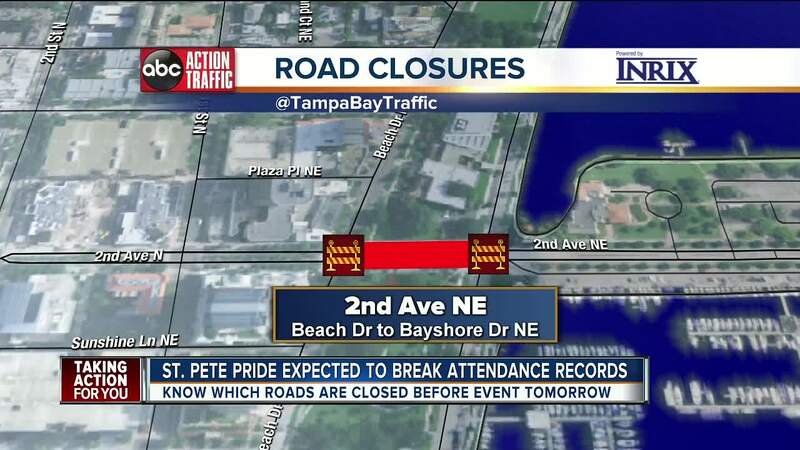 On Saturday the parade route is along Bayshore Drive, meaning 2nd Ave NE will be closed all day from Beach Dr. to Bayshore. Plus, Dali Boulevard SE will be closed from Bayshore Dr. to 1st St. That’s starting at 5:30 p.m. until the end of the event. Sunday is the street festival. Central Ave will be closed from 22nd St to 28th St starting at 6 a.m. until the event is over, likely after 7 p.m.
Ride-sharing through Lyft and Uber are great options to avoid the aggravation, but keep in mind rider fees are likely to go up. And did we mention baseball? With the Rays and Yankees facing off tomorrow at the Trop, in one of their most largely attended series of the year, it means even more people hitting the city. The advice we’re hearing is to get to the game or the parade early. Don’t wait until the last minute. Also, parking is available at St. Pete High School. You can park and catch a public bus to all the activities for free.